Warren Buffett and others have long advocated buying companies with moats around their businesses. 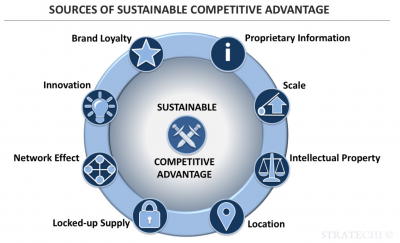 Strong brand loyalty (Disney), economies of scale (Walmart), innovation (Google), location (Starbucks) and other sources of competitive advantage play an important role in in the success of companies over time. The reason companies with moats appeal as attractive investments is that a moat, which is a function of a firm’s competitive advantage, protects the business and overall profitability from competitors. One may argue the very largest companies in the market today — Amazon, Apple, Microsoft, Facebook — all have competitive advantages. But how might an investor systematically identify companies with moats and does it translate into strong investment returns over time for most investors? To answer the first part of the question above, we don’t need to drift too far away from Buffett himself. On the surface, one could look at the very top stocks in the market or even at Buffett’s own holdings at Berkshire and come up with a list of companies that exhibit moat-like attributes — big, profitable and dominant in their industries. There may be some merit in that type of thinking, but it’s certainly not systematic or scalable, and any subjective analysis automatically means there are decision-making biases baked into the decision and as quantitative investors we want to avoid situations like that. What if there was a way to quantitatively analyze a company’s financials and fundamentals to help us determine if a company has a competitive advantage. That is exactly what we’ve tried to do in the replication of the Warren Buffett algorithm on Validea. Extracted from the book, Buffettology, Validea’s Buffett model has a few distinctive quantitative criteria that can help us determine if a company has a competitive advantage and moat around its business. A decade of earnings predictability: Our Buffett model looks at 10 years worth of earnings and rewards firms that have increasing earnings over that time period. Using 10 years should give a snapshot of corporate performance over various parts of the business cycle. Growing earnings in and of itself isn’t completely a sign of a competitive advantage, but a decade of growing earnings can give an investor confidence in future earnings of the company. A decade of above average return on equity and return on total capital: It’s not enough for a company to just have consistent earnings, but the real determination of whether a moat exists comes in looking at 10 years of return on equity (ROE) and 10 years of return on capital (ROTC). ROE measures the profits a company is able to generate on its equity, or net assets, since equity equals assets minus liabilities. Since leverage can be used to magnify earnings, ROTC takes both equity and debt, or total capital, into consideration. If a firm consistently produces a 25% ROE then this means that for every $100 in equity the firm is generating $25 dollars in profits. U.S. companies have had an average ROE of about 12% over the last 30 years, so any company with consistently higher returns on equity and total capital over a long period of time are protecting their profits from competitors and demonstrate a moat. Let’s take a look at a concrete example using Costco, the membership-only warehouse retailer. In the table below you’ll see 10 years of earnings per share, ROE and ROTC for Costco. Year 1 is the most recent fiscal year and prior years follow in the table. As you will see, earnings have been steadily increasing each year, starting at $2.47 earnings per share 10 years ago and ending at $7.14 in the latest year. 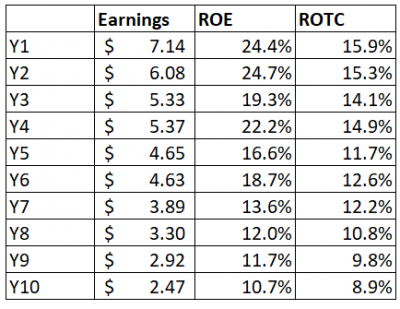 ROE and ROTC have been steadily increasing as well, but our Buffett based model requires a consistent ROTC through the entire period and the company has some early years below the 12% hurdle, resulting in a failure of that specific criteria in the Buffett model. The point of showing you the data is not to focus on Costco, but instead to show competitive advantage can express itself in the mosaic of company fundamentals over time. The trend in Costco’s earnings, ROE and ROTC are all trending in a way that implies a competitive advantage. On the surface, one would think that companies with wide moats almost always make great investments. The companies that are the most successful, largest companies are the ones that will continue to dominate in the future. Research from the new book: Popularity: A Bridge between Classical and Behavioral Finance by Roger Ibbotson and three Morningstar investment researchers, Thomas Idzorek, CFA, Paul Kaplan, CFA, and James Xiong, CFA, counters the belief that wide moats equal superior stock returns. What these researchers found was that characteristics like a strong brand name, a defined competitive advantage, a wide moat, or a good reputation made stocks more popular, and therefore more expensive. 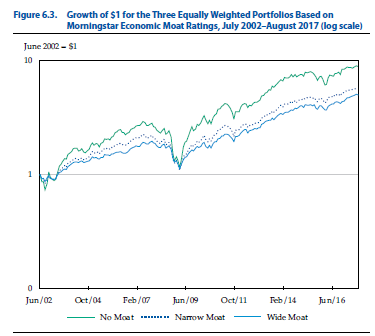 For wide moat firms specifically, the authors measured the performance of those companies with the highest Morningstar Economic Moat ratings and compared the performance to firms with narrow moats or no moats. The data shows “wide moat” firms actually underperformed narrow moat or no moat firms from a raw performance perspective, but did generate superior risk-adjusted performance. 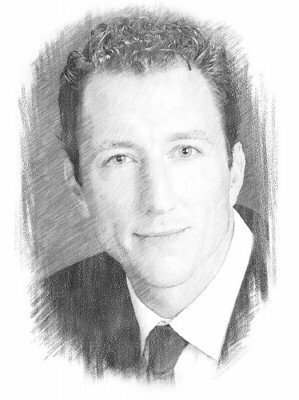 “Assuming that a powerful brand, a sustainable competitive advantage, and a good reputation are characteristics that investors like or admire, from the popularity perspective, some investors (the willing or unknowing losers) are simply willing to give up some level of return or overpay for a characteristic they like,” according to the authors. This brings us back to Buffett, which is where we started. Buffett is known for buying great companies at fair (and sometimes discounted) prices. He just doesn’t buy cheap stocks and he doesn’t just buy great companies. He marries the concepts of value investing, which is trying to buy stocks for less than their intrinsic value based on expected future cash flows, with high-quality moat-based investing. Having a systematic way to identify wide moat companies takes the guesswork and biases out of investment decision making and by combining wide moat investing with other fundamental factors may be one way investors can avoid the downside of overpaying for many of these stocks.